WHEN I told my friends I was going to China for the holidays last year, my friends warned me about the frustrations I would face on the trip. The language barrier would be a key factor — as a Singaporean Indian who cannot speak Mandarin, they warned that I might be treated with disrespect or be yelled at by locals whenever communication broke down. The travel reviews I read on websites such as Tripadvisor were also concerning. Western travellers warned about being “scammed by locals while shopping” because they did not understand Mandarin. These led me to think that I too would experience some of these unfortunate situations. I was wrong. During my trip, I actually experienced many acts of kindness. This trip made me realise that some countries are misunderstood because people form perceptions on them based on what they hear and read, without recognising that these perceptions might be outdated. Experiencing a country for oneself would be the best way to form new and accurate perceptions. When I was in Chengdu, the capital of China’s Sichuan province, my mother and I could not find the correct bus stop to return to our hotel. The Google Maps app showed that we were standing at the right bus stop. But when the bus arrived, I showed the driver our destination and he shook his head. He tried explaining something to me, but in Mandarin. Seeing that we were confused, he gestured us up the bus and drove us to a bus terminal, without charge. He directed us to his colleague, who would be driving past our hotel along his route. Though he insisted that we ride for free, we eventually paid him when we alighted. We encountered a similar situation while in Beijing, where a middle-aged couple had gone out of their way to walk us to our hotel. In a separate incident, I was on a sleeper train to Harbin and a group of four boys offered to swap one of their allocated bunk beds with mine, so that my mom and I could sleep closer to each other. As the number of tourists in China increased by 24 million from 2013 to 2017, the country has become more welcoming towards tourists from backgrounds different from its own, according to China’s English-language newspaper Global Times, in 2017. The emphasis on English education introduced in 1978 had also helped the Chinese to better communicate and connect with foreigners. Colombia is another country that may often be misunderstood. Its second largest city, Medellin, which was dubbed as "the most dangerous city on Earth" by the Time Magazine in 1993, was where Pablo Escobar, history’s most powerful drug trafficker, ran his notorious drug cartel. The city witnessed more than 6,000 killings in 1991 alone, under his ruthless regime, The Guardian reported in 2014. Following his death in 1993, the government worked towards curbing the cultivation of coca and banning people from carrying marijuana and cocaine in public. Today, Medellin is one of the safest cities in Latin America, according to travel guide book The Lonely Planet, because of its public transport system, the MetroCable — an elevated metro system with a bird’s eye view of the city. In 2004, the city’s mayors reduced the crime and violence rate by more than 80 per cent, by connecting the poorest and most violent neighbourhoods with the city centre using the metro system. The residents could find more reputable jobs in places further away instead of succumbing to dealing with drugs as they used to. As the first positive thing that happened in the city, according to a commentary in the newspaper The Telegraph, the metro instilled confidence in the residents that change was possible. Travellers who have been to Medellin now describes the place as “beautiful and safe unlike how it is portrayed in the news”, and lauds it for “combating crimes such as kidnapping”. The Medellin example of a violent turned peaceful city shows how we should not hold a country’s notorious history against it without finding out how it has developed. Japan is one of the most visited countries in the world — Tokyo hosted 11.93 million tourists in 2017. However, infamous for its resistance towards immigration, many foreigners have described Japan on GajinPot Blog, a travel blog specifically catered to foreigners coming into Japan, as a “strict, conservative country that is difficult to live in”. As reported by international current-affairs magazine, The Diplomat in 2015, the Japanese government has traditionally been against accepting more foreigners, citing concerns such as higher crime rates and fewer job opportunities for the Japanese. Japan was listed as the least preferred Asian country that foreigners wanted to work in, according to Bloomberg in 2017. 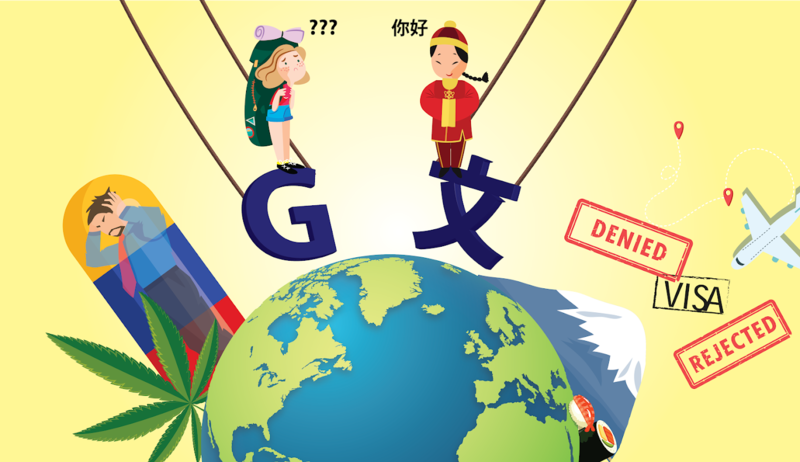 Expats moving to Japan have been unable to send their children to English-language schools since close to all classes are conducted exclusively in Japanese. Moreover, most skilled foreign workers are used to job-hopping, a relatively rare practice in Japan. Hence, the inflexible career system can make it difficult for immigrants to adapt to. Nevertheless, Japan is repairing its image in recent years, by opening up more to foreigners. According to the Japanese newspaper, The Japan Times in 2018, the country introduced a bill to allow foreign workers with specialised skills to live and work in it for up to five years. Expats on GaijinPot Blog shared that Japan is one of those places where “one’s race and skin colour do not determine how people perceive you”, a far cry from the perception that the country is xenophobic and culturally closed off. We should not blindly believe what we hear about countries before researching about them for ourselves. As much as the history of countries can give us a profound understanding of them, we should be open to forming new perspectives as new policies are put in place and mindsets change. With the decades past, we have seen how Colombia and Japan have more to offer as destinations to travel, live and work, and I learned that firsthand from my experience in China. Being open-minded and looking beyond stereotypes will allow us to experience the history and culture of more countries around the world.